Hailing from Israel, Red Rose is, by definition, a young and upstart band. They formed in 2010 and have now released their debut album Live the Life You've Imagined, on Bakerteam Records, a division of Italy's Scarlet Records, only a year later. Pretty good start? Yeah, I would think so. Above, Red Rose: Thanks to Photoshop, looking quite stylish. While Red Rose's quick rise to a label contract is obvious, their musical style is not necessarily so. Certainly the larger category is melodic hard rock, straight out of the Eighties. The opening number, Turn Back the Time, certainly favors this description. It also adds that famous big arena sound that made the decade famous. Then, Red Rose fiddles with a metal edge on the heavier Name on the Stone. This song also could fill a stadium with its immense layers. Later, both The Last Drop and Dreamer blur the melodic hard rock with AOR sensibility for rather delightful and entertaining results. The album ends with a lighter tune, When the Sun Goes Down, complete with acoustic guitar and, gasp, what sounds like a tambourine. Ultimately, what's astonishing is that this band was able to put together, rather quickly, songs so solid and representative of the genre. But even with eight songs, at 35 minutes, it's a rather short album.This might make one wonder if Red Rose is not simply a 'flash in the pan:' bright and brilliant for a moment with no sustainability. Let's hope not, for one simple reason: there's some fine talent here. Bottom line: I liked this album. 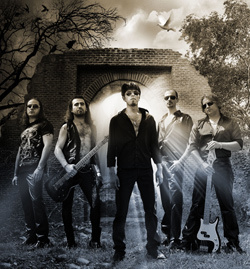 Red Rose has the talent and creativity to create entertaining melodic hard rock. Recommended. 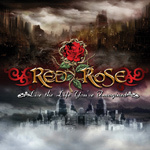 While short on content, Red Rose's Live the Life You've Imagined is large on fine melodic hard rock. There's sound talent and creativity here. Here's hoping for more.